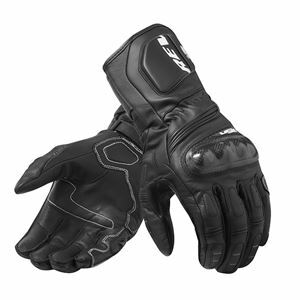 For full-on gauntlet gloves that are ready for the track, the REV’IT! RSR 3 stands as the latest iteration on the long-running lineup that has seen success and acclaim for years. Constructed from a cowhide, goatskin, and polyurethane coated fabric, the RSR 3 gloves are also backed with a PWR|shield for added durability. Additional features of the REV’IT! RSR 3 Gloves include TPU hard shell palm sliders, EVA foam for added impact absorption, and TPU hard-shell knuckle protectors.